When GE builds engines for commercial airliners, it doesn't necessarily know where the engines will be used. One aeroplane might traverse the cold skies of northern Europe, while another rides the winds of the Middle East, and a third flies through various zones as it travels north and south across Africa. Each is exposed to different environmental pressures, resulting in very different wear and tear. Today, GE and many other companies rely on digital twins to help solve this. A digital twin is the virtual doppelganger of a real-world system such as an aircraft engine. Data is fed from the actual system to the digital version, which then mimics everything. 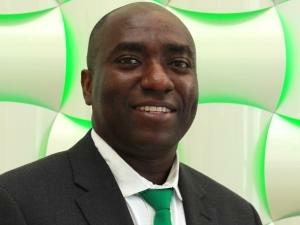 Engineers can inspect the engine and make predictions around maintenance without stripping it "Digital twin technology is a hint of where digital technologies, combined with IOT, can take us," says George Senzere, Solutions Engineering Manager at Schneider Electric. "Capturing data is becoming easier and can create rich insights that even mirrors complex engineering. Today, you can monitor a bridge, crops, even the freshness of milk shipped to a store. A lot of possibilities are locked in the data we can harvest today." Thanks to inexpensive and scalable IOT systems, gathering data from anything, trucks on a mine, queuing systems at a bank, pipelines on a site, is not just conceivable, but critical. From predictive maintenance to planning future capacity, there's a lot of strategic value in this data. Yet, as we discussed in the first of this series of articles, transporting data between sites and business systems created barriers that weren't overcome until edge computing became practical. Edge computing remedies these by moving computational and storage capabilities from larger central data centres to near or on the sites where the initial data is being generated. Today, it is very affordable to deploy micro data centres or small server rooms, thanks to turnkey infrastructure and connectivity solutions that scale as demand does. "Infrastructure for digital systems is becoming commoditised. You can deploy the underlying support for a data centre, cooling, power and connectivity, with little fuss. The primary differentiator is no longer the hardware, but how it is brought together and configured. So the right solution, we call it the Ecostruxure, makes deployment of off-site computation very practical." Data has always been part of every business. Every report is a summary of data points and insights that already exist within an organisation. The tallies of a ledger are examples of data. Business leaders expect to be informed by this data, which is why the so-called fourth industrial revolution is gaining so much attention. It elevates the possible interactions between data and decision-makers to heights we're only beginning to realise. Thus, data is crucial for strategy. This is why IOT and similar concepts are so intoxicating, as they promise to tell businesses more and faster. If done right, these can deliver massive advantages over competitors. Increasingly, these decisions need to be made outside of the business's central systems. Gartner estimates that currently 10% of enterprise-created data is processed outside of the data centre, but predicts this will rise to 50% by 2020. Being able to handle that data insightfully and efficiently once required deep pockets, explains Senzere: "What we're talking about here wasn't possible a decade ago. You needed a lot of cash and time to deploy a data centre. But that's not true anymore. Even a single rack system, supported by adequate infrastructure, physical security and environmental protection is very feasible." Not considering the possibilities of this could even be a bad move. Neglecting that edge capacity will start creating new silos across a business or threaten to keep old ones in place. Controlling branch sites is already challenging. The deep investments in digital transformation will bottleneck at these junctures. Edge's value proposition is to manage data at the local site, sending only what is necessary to the central systems. Instead of transferring all data generated, edge systems can prune the streams down to the necessary. In more advanced use cases, the edge systems can extend the capabilities of business applications to the remote servers. Digital systems are enabling us to watch how a sophisticated aircraft engine behaves and performs without needing to be close to it. The edge offers more insight without interference and nixes the challenges of enforcing oversight from afar. From a strategic view, there is much to be gained by embracing the edge. But that is not the full story. Even if remote sites offer a lot of value, they are notoriously cumbersome to maintain. In this series' next article, we will look at how modern monitoring solutions are making it much easier to manage remote data sites and even get ahead of their demands.